Finding the Perfect Outfit on a College Budget | Grand Central Magazine | Your Campus. Your Story. As college students, saving every bit of money is needed, however we all love a great new outfit and some retail therapy. Use these five tips to get the best deals and best of both worlds: a new outfit without breaking the bank. The retail world goes through a cycle and is always one season ahead. With that being said, to get the best deals make sure to shop right at the end of a season to get all the sales on end-of-season merchandise. For example, summer clothing will be on sale from July-August. Spring is on sale from May-June. Fall is on sale from Sept.-Oct. Winter goes on sale from end of Dec.-Feb. 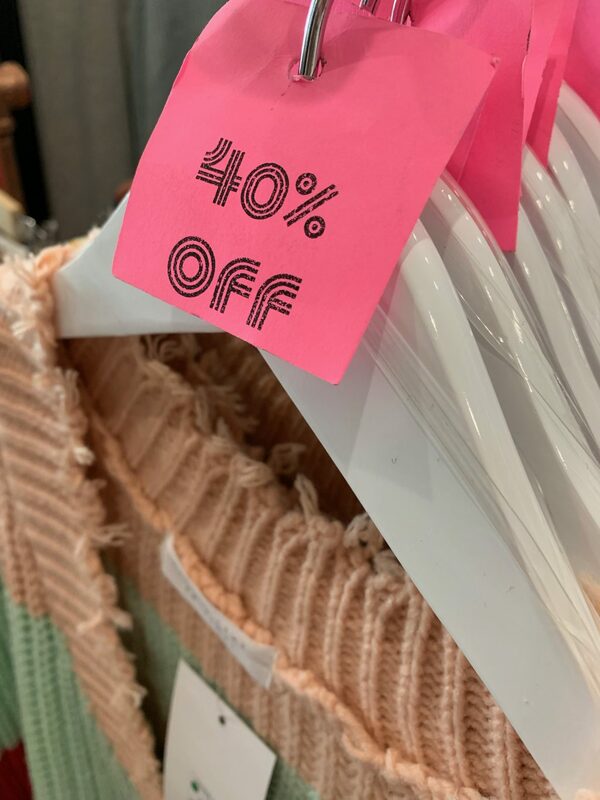 These sales are because of the nexts seasons products coming in and retail stores needing to get rid of the previous season’s merchandise, thus putting it all on the sale rack for your closet. So grab those deals off-season and when the time rolls around again, you’ll have a whole wardrobe waiting for you. Outlet stores can be a savior! Located all throughout Michigan and the Midwest outlet malls, trendy stores offer clothes for half the price. Tanger Outlets – Howell, MI: About an hour and a half drive south of Mount Pleasant you can find Tanger outlets. This outlet mall has shops like American Eagle, Levi’s, Nike, Adidas, Under Armour, Expresss and Old Navy to name a few. Tanger Outlets – Grand Rapids, MI: About an hour and a half drive towards the west side you can find another Tanger outlets with the same great deals. Birch Run Premium Outlets – Birch Run, MI: About an hour and 15 minutes away you can find Birch run which holds a wide variety of fashionable stores offering great deals. West Branch Outlet Shops – West Branch, MI: If you feel like heading north, drive about an hour and 15 minutes to find West Branch outlets. Retail stores are always handing out coupons. They may not seem like much, but in the long run they can help a lot! Save these coupons and whenever shopping at your favorite store, grab them for extra savings. Although thrift stores can seem like a hit or miss, they can be a great way to find on-trend pieces at an amazing price. There are so many thrift stores in the area, so take a day with friends and search them! Don’t be afraid to step out of your comfort zone and play around with styling your thrift finds. 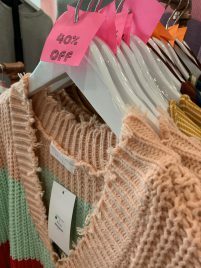 Many stores offer huge sales, such as Nordstroms half-year sale or Anniversary sale, or Victoria Secret’s Semi-annual sale. These big sales are great ways to stock up and get a bunch of new, cute outfits at a great price. Follow your favorite brands on social media to always be updated on sales and deals. Use these five tips and tricks to always find the best deals to get your retail therapy in, with staying on budget. Separator image Posted in Style & Beauty and tagged with Budget shopping, campus fashion, Jenna Boulter, shopping, Style & Beauty.